Sharon is located in the northwest highlands of Connecticut, bordered by the town of Salisbury to the north, Kent to the south, Cornwall and the Housatonic River to the east and on the west side by Amenia, New York. Sharon is well known for its picturesque Village Green, which is lined with historic houses dating from the 1730s and marked by its famous stone Clock Tower. Historically, Sharon’s abundance of recreational opportunities, beautiful high landscapes, and proximity to the railroad line made it an optimal vacation destination and the town attracted many wealthy visitors who began purchasing second homes. Between 1880 and 1930 many older homes were refurbished or new homes were built in the Colonial Revival style that still defines the town today – especially along the South Green. Several estates were built, including the enormous Italianate palazzo “Filston” by Romulus Riggs Colgate and nearby “Hiddenhurst”. Mole's Hill Farm. Minutes from bucolic Sharon, Ct. this English-style estate is a true retreat from today's fast-paced world. Centered by a Manor House filled with understated elegance and a sweeping flair of British style, the estate captures the imagination. Detailed pediments, carved fireplaces, custom millwork and cabinetry are appointed throughout every light-filled room, all perfect for entertaining. The grounds by famed English garden designer Penelope Hobhouse and British architect Sir Anthony Denny combine Edwardian symmetry and style in a hillside setting to breathtaking results. Centered by an obelisk folly, framed by a double allee of zelkovas trees, it is flanked by two formal gardens. One features a walled English garden designed with perennial beds and espaliered fruit trees and a greenhouse. The other features a hornbeam hedged garden surrounding a lap pool and a double pavilion with cabana and guest studio. A Russian dacha is tucked in the woodlands. A tennis court, large barn and three bedroom guest house complete the offering. Additional land available. Large tract of prime farmland just outside the Village of Sharon. Vast open meadows with tree-lined perimeters. Currently being farmed for hay and crop production the property also offers some spectacular building sites. Development rights are owned by Department of Agriculture and building site selection is subject to their approval. Three parcels are being offered as one totaling 187.33 acres. 155.66 Acres on Sharon Valley Rd. / 26.8 Acres Millerton Rd. / 4.87 Acres Millerton Rd. Located in the Ellsworth section of Sharon, CT an amazing opportunity to purchase this operating orchard or build your own home with long Mountain top views. This property is being offered with three different parcels, approximately 70 acres in total. The house is a single family, one story cottage that overlooks the property on .08 acre lot. The barn, and farm store boasts an abundance of storage space on 6.5 acres. The orchard is set on 63 acres with a spring fed pond for irrigation or recreation use plus open fields with plenty of area to cultivate a vineyard around plus the established orchard and some woodlands. The post and beam circa 1740 barn is utilized as the farm store and Cider Mill. This is where they sell the produce that is raised on the farm/orchard. There are many different varieties of apple, cherry, plum and peach trees. There are also blueberry and raspberry fields. The acreage offers a vast array of open land for planting pumpkins, grape trees, or anything else that your heart may desire. Frontage on four different roads means that there is potential for development. Equipment not included in sale, please inquire for more details. 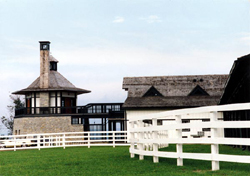 Utilize as your own private estate with rolling hills panoramic views of the surrounding area, open pastures. Don't let this amazing opportunity slip through your hands. Min from Private schools, Local dining and train station. Please call for more details on this property. Located in the Ellsworth section of Sharon, CT an amazing opportunity to purchase this operating orchard or build your own home on this one of a kind property with long Mountain top views. This property is being offered with three different parcels, approximately 70 acres in total. The house is a single family, one story cottage that overlooks the property on .08 acre lot. The barn with a farm store boasts an abundance of storage space on 6.5 acres. The orchard is set on 63 acres with a spring fed pond for irrigation or recreation use. Plus a open fields with plenty of area to cultivate or plant a vineyard plus the established orchard and some woodlands. The post and beam circa 1740 barn is utilized as the farm store and Cider Mill. This is where they sell the produce that is raised on the farm/orchard. There are many different varieties of apple, cherry, plum and peach trees. There are also blueberry and raspberry fields. The acreage offers a vast array of open land for planting pumpkins, grape trees, or anything else that your heart may desire. Frontage on four different roads means that there is potential for development. Equipment not included in sale, please inquire for more details. Utilize as your own private estate with rolling hills panoramic views of the surrounding area. Don't let this amazing opportunity slip through your hands. Min from private schools local dining and train station. Please call for more details on this property. Located in Sharon, Ct. This land offer a wide range of uses and a great opportunity to purchase a great pice of land with a fabulous Location, views and privacy. Included is A 1850 antique colonial being offered with 120 Acres along with a separate 16.47 acre parcel for approximately 137 ac. Ask for details. Several barns. Two large ponds for fishing or summer enjoyment. Meticulously maintained grounds. Several fabulous building sites for a main house. Open lush Fields for grazing grounds. Some fenced-in pastures. Old stone walls dot the landscape . Endless opportunities with this one if a kind property be offered. The back of the property abuts Sharon Audubon. Have to check on total tax and assessment for this property.